Lost premiered 10 years ago this week. It ended four and a half years ago. And I still miss it like crazy. This doesn’t seem to be a popular opinion these days, as backlash to the underwhelming series finale seems to have overtaken the memory of everything that came before. But backlash has overtaken just about everything in 2014, and the effect on television has been profound. Networks today are more hidebound, creators more skittish, and broadcast TV as a whole more distressingly safe. Yes, the expansion of viewing options and the subsequent diminishing of audiences have played the leading roles in this retrenchment, but it’s impossible to discount the added impact of our rapid-response culture. The big four networks were never particularly good at taking chances, but there was a dedicated, if occasionally naive, desire to give people something they might adore. Now networks twist themselves into knots coming up with milquetoast servings of what they’re pretty sure people won’t hate. It’s how you end up with 66 annual hours about Naval crime investigation and a half-dozen sitcoms about love that, taken together, are barely worthy of being liked. Want to know what white bread dipped in milk tastes like? I’m pretty sure there’s a new network show just for you. 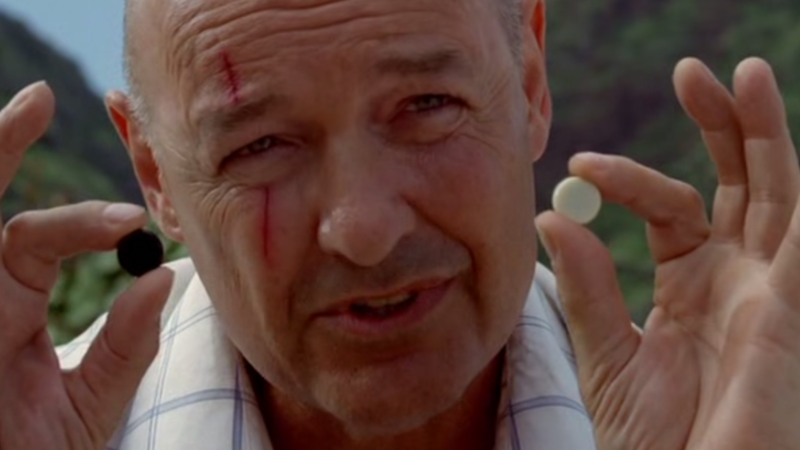 Reconsidering Lost1 after a decade ought to feel like an exercise in gauzy nostalgia. But it doesn’t. In fact, it’s the opposite. Rewatching the premiere the other night, I was floored by how exceptional it is, especially in comparison to the middling dreck I was sifting through just a week ago. The fearlessness of those first two hours, directed by J.J. Abrams at a reported cost of $14 million, is intoxicating. It’s instantly more vibrant, more alive, more modern than anything else currently on broadcast air. From its opening moments, in which Jack opens his eyes to a strange new reality, Lost makes no effort to coddle, to entice. Rather, it intentionally disorients. When Jack runs through the jungle — always toward the danger rather than away from it — he dares the audience to sprint right alongside him. Though the show was years away from frustrating anyone with its mysteries, this headlong dash into the unknown was prophetic. Nothing would stop Lost from being reckless — not with story, not with ideas, not with time, and certainly not with emotion. Taking the risk, and taking the journey, was what made the show worthwhile, regardless of where things ended up. To paraphrase a great man, sometimes you eat the polar bear, and sometimes the polar bear eats you. What I remember most about the night Lost premiered was the sheer magnitude of the spectacle: a man sucked into a dying 747 turbine, an explosion of smoke and fire, the (unseen!) smoke monster smashing Greg Grunberg like a grape. But what lingers now is the attention and care given to the quieter scenes: Jack gazing into the impossibly blue Pacific just before the screaming of his fellow survivors reaches his ears; Charlie karaokeing his own hit song; a petrified Kate counting to five. The brilliance of the series lay in these moments, the ellipses between the exclamation marks. Even as entire palm trees gave way to what sounded like a Godzilla-size taxi meter, the most intriguing aspects of Lost were right in front of us. Where did all these survivors come from? What was the deal with the angry Korean couple, the gentle giant, the creep with the citrus smile? I didn’t just want to know where they were. I wanted to know who they were. It’s a seemingly simple distinction, but it’s one that TV producers have been getting wrong with staggering consistency ever since. Don’t misunderstand: This is not meant as an apologia for Lost’s ending. I still seethe over the shoddy disposal of core characters like Sun, Jin, and Sayid, I’ve never stopped shaking my head over the Temple (I bet poor John Hawkes hasn’t, either), and the memory of the final gathering in the church still leaves me stunned. How could we slip so far from the gonzo poetry of frozen donkey wheels to the high school notebook curlicues of soul mates ascending to heaven? It was the sight of a towering soufflé collapsing, at the final moment, into mushy, unbaked batter.2 But once I began rewatching the series from the beginning, the lump of disappointment I felt returning to my chest took a different form. As the French Lady’s voice crackled on the radio, as all the Desmonds, Faradays, and Juliets still to come beckoned, I realized that I would absolutely submit to the full six seasons yet again, even with the knowledge that the final step would be sideways instead of satisfying. The frustration had changed. I wasn’t upset with what Lost became. What really rankles is that nothing ever took its place. Thanks to a quirk of timing and fate that would give even that old meddler Jacob pause, Lost managed to be both the first series to demonstrate the potential of a broadcast network in the digital age and the last. Though it was stuffed with sci-fi nerdery and smothered in a thick Bolognese of strangeness, the show was a phenomenon from the moment it debuted (to an audience of 18.65 million) all the way up through that last walk into the light (13.57 million). More than gaudy ratings, though, what Lost inspired was a very specific, highly contagious kind of mania. It arrived at a moment when Wikipedia-size wormholes were available to every viewer, when fan engagement migrated from the fringes to the very center of mainstream conversation. Excited by the sight of three-toed statues, inflamed by the mere mention of 19th-century slaving ships, otherwise sane individuals found themselves spelunking merrily into the deepest and darkest of Internet caves. Even today I can speak extemporaneously on the significance of Tawaret, the Egyptian goddess of fertility, or the philosophical musings of John Locke.3 I can prattle on endlessly about constants and variables. I know what an outrigger is. You could say that this intellectual and thematic sprawl didn’t add up to much, but you’d be wrong. What do you get by gobbling up everything under the sun? An entire, crazy world. Thanks to this voraciousness, Lost bridged the Internet divide between the time Before Twitter (B.T.) and After Twitter (F.M.L.). It helped to normalize the idea that television can be watched intimately with millions of people not currently seated on your couch and that episodes don’t end when the credits roll — they stretch and bleed into the rest of the week through a dizzying scrim of chat windows, status updates, and ill-advised Googling. Over at Entertainment Weekly, critic Jeff Jensen gave in to the vapors so entirely that he single-handedly changed my understanding of what a TV review could be. Sure, Alan Sepinwall and others were already recapping. But Jensen used each episode as a trampoline for his wildest theories and infectious, boundless enthusiasm. In his virtuosic morning-after ramblings, Doc Jensen wasn’t just commenting on what the show was. He was delighting in all the incredible things it could be. The truth is, Lost diehards — and I count myself among them — would never have been satisfied with the show’s ending, no matter what form it took, because it pulled the plug on our endless, joyous speculating. If we’re being honest, none of us ever wanted to be found. Lost was more than a TV show. It was a sort of shared madness, a delirium that ranged far beyond Wednesday nights at 10. And, as such, it should have heralded a new golden age for the graying networks. During Lost’s reign, cable channels were still focused on the highbrow character dramas that had earned them buckets full of press and prestige — not to mention ratings that threatened to catapult them into the biggest of leagues. (The Walking Dead premiered five months after Lost went dark. Game of Thrones arrived the following April. Together, they would push cable into an entirely different sport.) Then, as now, networks needed to operate on a larger playing field both to differentiate themselves from their more nimble cable competitors and to sustain their far more demanding revenue model.4 A wholly original multimedia supernova like Lost isn’t easily replicated. But what’s most disheartening today is to see how little the big four seem inclined to try. After a few years packed with soulless cover versions like The Event and The Nine (more on those below), network executives threw up their hands and moved on: Lost was sui generis. Like the wreckage of Oceanic 815, its particular blend of wild art and savvy commerce could never be located again. To look at the broadcast grid in the fall of 2014 is to see abject surrender; outside of a few hardy survivors,5 every network’s drama slate is a vast and exhausting sea of tired procedurals, preexisting properties, and unambiguous crap. Unless they’re plotting musicals, no one thinks big anymore. Honestly, there’s little evidence anyone is thinking at all. How could it be that such a hugely important show cast no shadow?6 Lost was meant to be an antidote to network TV’s slow descent into redundancy. Instead, it helped hasten the patient’s demise. 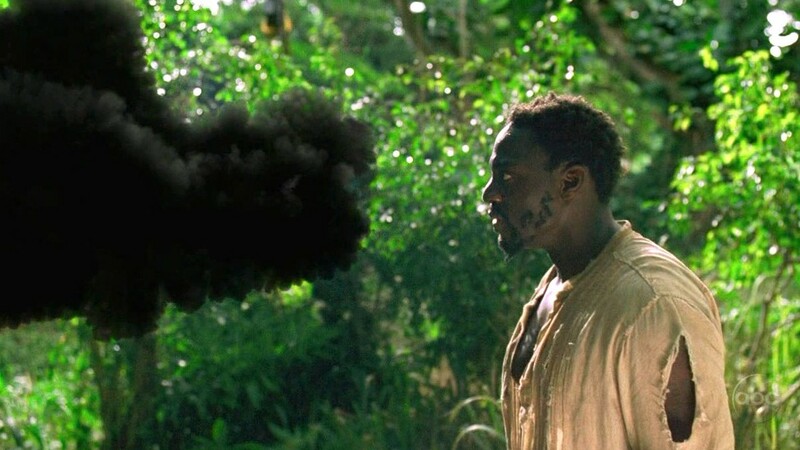 Better to take a page from Lost’s actual playbook and remember that the development process for the show was so ridiculously sped up that Abrams and Lindelof started casting before they even had fixed ideas about the characters the actors would be playing. This could have been disastrous but proved to be liberating. When Yunjin Kim came in to read for Kate, the producers were so thrilled that they created a new role just for her. This, in turn, led to the creation of Daniel Dae Kim’s Jin. Dominic Monaghan was so impressive in his audition for Sawyer (then described as an Armani-clad big-city con man) that they rewrote the role of Charlie (intended to be an aging, over-the-hill rocker) to better suit him. Sayid wasn’t in the original outline at all. After meeting Naveen Andrews, Abrams and Lindelof crashed him into the cast. In the best writing, action emerges from character, and not the other way around. If you can create compelling protagonists, you can do almost anything with them without breaking faith with the audience. They can jump through time, they can jump into bed with each other, they can even be locked in circus cages and fed fish biscuits. A strong character forgives all manner of foolish plot decisions made along the way. Don’t start with the mystery box. Start with the woman trapped inside it and build out from there. Look, I’m all for the auteur theory in practice. Nearly all of the great dramas of the past decade-plus have been the passion projects of lone, particularly impassioned creators: your Matthew Weiners, your Vince Gilligans, your David Simons. But network TV doesn’t operate like this and never has. Highly paid executives are deeply suspicious of overly empowered writers — one ill-advised flight of fancy can crash an entire network’s bottom line — and the demands of the long network season require more than one set of hands on the controls. Rather than buck against this humbling reality, creators ought to embrace it and look to Lost as a reason why. I’m not saying that the Jason Katimses and Shonda Rhimeses and Kyle Killens of the world, all the noble scribblers dedicated to working under the (extremely lucrative!) broadcast yoke, ought to give up their personal projects and start taking their marching orders from the men upstairs. But I am saying it might not be so bad for them to try bouncing their creativity off something other than their own reflections now and again. Does NBC’s Bob Greenblatt have a certain type of show he’s hankering to do? Is the ghost of Kevin Reilly still whispering buzzwords from Fox’s air-conditioning vents? I’m not entirely sure what Paul Lee thinks about, but I can promise you that, like Lloyd Braun, he has vacationed in Hawaii. Sometimes the best way to reach that untapped potential is to give someone else a chance to do the tapping. Here’s the beauty of Lost: There are polar bears, flashbacks, bursts of electromagnetism, and a giant, tree-crashing, human-smashing monster in the pilot. Within a year, there would be a hippie cult, a torture room, and a set of magical numbers that appears to control the universe. By the end of Season 5, a time-traveling fertility doctor used a giant stone to bash a hydrogen bomb until it exploded. The end of the show hinged on a pair of godlike brothers squabbling over an immortal deckhand and which one of them Allison Janney loved more. And yet during all of this, Lost carried itself like a fully mainstream entertainment. Even midway through the third season, after the show secured its end date and committed more fully to the genre looniness that had been lurking beneath the surface, Lindelof and his fellow showrunner, Cuse, never stopped projecting to the furthest reaches of the peanut gallery. Lost was a big, bold show that always sought the largest possible audience. Its most extreme Arthur C. Clarke indulgences were always leavened by a generous dash of Danielle Steel. I’m tired of geek-minded shows self-exiling themselves to the margins as does this year’s Constantine, which will air Friday nights, where its audience of exactly who you’d expect will be waiting to embrace it with open arms. Lost proved that there were viewers out there willing to accept all kinds of extreme stories as long as they were well told. Unlike the highly specialized series on cable, broadcast shows should always aim for the biggest possible tent. And creators should remember that tents that large require equally enormous stakes. Here’s the beauty of the first hour of Lost: We catch a glimpse of every single major cast member. But we really meet only three of them: Jack, Kate, and Charlie. That’s it. Everyone else is forced to wait their turn. What a luxury it is to bask in the not-knowing! And, also, what an anachronism. Every pilot I saw this fall felt the need to present every single character in the first few minutes, often in the most honking, unsubtle way possible. Forever’s chatty protagonist introduces himself through clunky voice-over. State of Affairs’s heroine does the same by womansplaining herself to a shrink (“Total slob in my personal life, total sniper in my professional one”). On Madam Secretary, the president of the United States drives to a horse farm to tell Téa Leoni that she doesn’t just think outside the box, she doesn’t even know there is a box. (Tell that to John Locke!) Networks are so fearful that a viewer might become confused that they’ve encouraged writers to spend their time connecting dots, not developing story. The truth is, it’s always far better to reveal personality through behavior — in the pilot, Jack doesn’t tell us who he is, he shows us by rushing silently from casualty to casualty while fiery debris rains down all around him — and to unveil people gradually. Episodes can be binged but great characters ought to be savored. Congratulations! If you’ve made it this far, I’m assuming you, along with the now-fired president of your network, have created a stunning, wide-screen drama that has captivated the nation’s imagination. This is no small achievement and you ought to take a moment to bask in it. I’m sure your children will appreciate their private school educations even though you won’t be seeing them outside of holidays for the next seven years. Dramatic TV in 2014 is, nearly without exception, punishingly grim. The goal of most series, from the ones I admire to the ones I dislike, appears to be the observation of humans at their absolute worst; broken people pushed to their breaking point and beyond. Lost, of course, began with a catastrophe, a hideously violent plane crash that killed dozens, wounded more, and wrenched more than 40 people away from their normal lives. But from that fire emerged the unmistakable, and unkillable, spark of life. As I’ve written many times over, suffering is only one part of the human experience. To deny the desire to laugh, even in the face of death, is to misrepresent a fundamental aspect of who we are. And so for every Jack, angrily crying at fate and his father, Lost gave us a Hurley, sweetly building a golf course to lift people’s spirits.7 In Benjamin Linus, it gave us a villain who couldn’t stop smirking — as if the universe were a cruel joke that only he could appreciate. And in Sawyer, it gave us a deeply damaged man who fended off his demons with sarcasm far more often than his fists. Sawyer didn’t just laugh in death’s face. He literally shared a beer with him. Lost was a show devoted to many things, some of which worked, some of which exploded more messily than Leslie Arzt. But above all else it was devoted to a certain kind of pleasure, the kind only found in community. Lost, at its best, celebrated the joys of living together. It’s always more satisfying than dying, or even just watching, alone. This is as good a place as any to note that Lost aired on ABC, which, like Grantland, is owned by the Walt Disney Company. This is the point at which I am contractually obligated to say, yet again, that while I disliked the way Damon Lindelof and Carlton Cuse ended the show, I will defend to the end their right to finish their story on their terms. 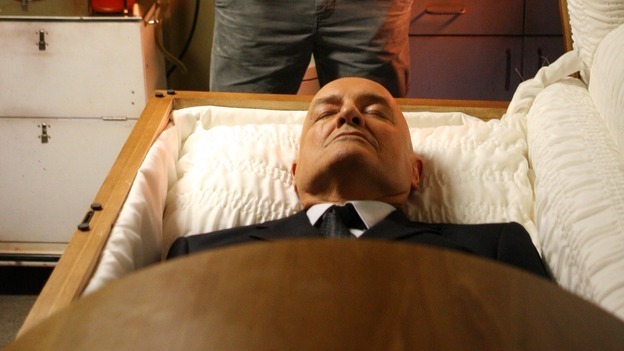 The real John Locke, he owes me a hundred favors. Thanks to something known as carriage fees, cable networks get paid just for existing. Broadcast networks still live and die on advertising dollars, which remain largely pegged to ratings. Hannibal, the Shondaland shows, The Good Wife, and Fox’s Sleepy Hollow, the only show currently on the air with even a whiff of Lost’s bonkers appeal. Friends, which is celebrating its 20th anniversary this week, made far more of a lasting impact. Its fast-talking DNA is smeared across everything from How I Met Your Mother and The Mindy Project to You’re the Worst. My goodness, does Damon Lindelof’s The Leftovers need a Hurley! Small(er) Movie Roundup: Now Big Enough to Include America’s YA Movie Flavor of the Week!